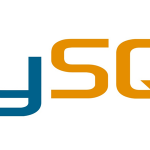 Using MySQL replication slave(s) for reporting (with potentially different storage engines) is a very popular way of scaling database read activities. As usual, you want to be on top of things when replication breaks so end users can be notified and issues addressed. When Nagios, Zabbix, or whatever monitoring tools are not available or otherwise not accessible, there got to be another way. I wrote the following Python script for that purpose. The script can then be scheduled via crontab to check replication status in an interval you define. When things break, you get a notification email. 1. I toyed with MySQLdb Python module for this task, but I don’t like the fact that I cannot easily retrieve values via column names in a MySQLdb cursor. If there is an easier way that I am not aware of due to my ignorance, I’d appreciate it if you could let me know. 2. Here is my test for replication status: I look at 3 replication slave status variables. If Slave_IO_Running == â€œYesâ€ and Slave_SQL_Running == â€œYesâ€ and Last_Errno == â€œ0â€, then I consider that to be success. Otherwise, I want to know about it. Let me know if this test is not sufficient or there is a better way. 3. Good place to scavenge code for running external command, list splitting, removing the first and last list items, and dictionary building for Python.